You should learn to walk a mile in another man’s shoes. Because you’re totally invited to do exactly that. Ted Turner Expeditions, a newly formed eco-adventure/eco-tourism company covering over a million acres and four properties in south-central New Mexico, is just now offering access to Turner’s one-time private home. 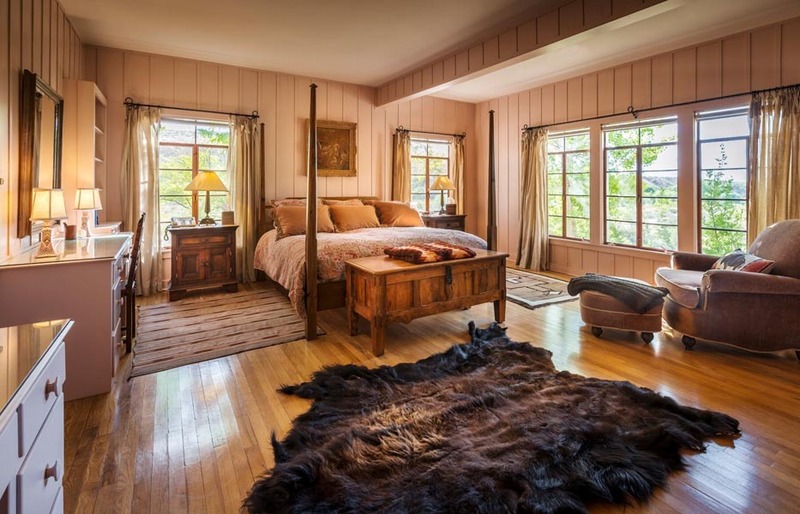 Located at Ladder Ranch, the home was built in 1992 and originally decorated by his then-wife Jane Fonda. Now it’s a guest cottage for you and your friends, featuring five bedrooms, a house manager, a private chef, and your own adventure guide. The villa sits on 245 square miles of desert grasslands and pine forests; as the company notes, that’s roughly the same size as the Arches, Bryce and Carlsbad Caverns National Parks combined. It’s a perfect spot for hiking, relaxing and viewing a wide array of wildlife (bison, elk, deer — even mountain lions). Rates start at $6,000/night for four people. If you’re looking for something a little less, uh, relaxing, we suggest visiting another one of TTE’s properties, like the Sierra Grande Lodge & Spa in Truth or Consequences, NM. Don’t be fooled by the name. Sure, you’ll have spa opportunities galore. But you’ll also experience the Armendaris Bat Flight, where you’ll bear witness to 1.6 million Mexican Free Tail bats emerging from two lava caves at dusk to feed. For that, you might need another man’s armor.